Water to Thrive is proud of our 100 Percent Promise, that all donations given for water projects go entirely to fund water projects. To sustain that promise and support our continued growth in bringing clean, safe water to those in need, we have created The Drop by Drop Fund. Drop by Drop pledges fund the infrastructure and staff necessary to ensure the ongoing success of our mission. One of our core values at Water to Thrive is transparency. 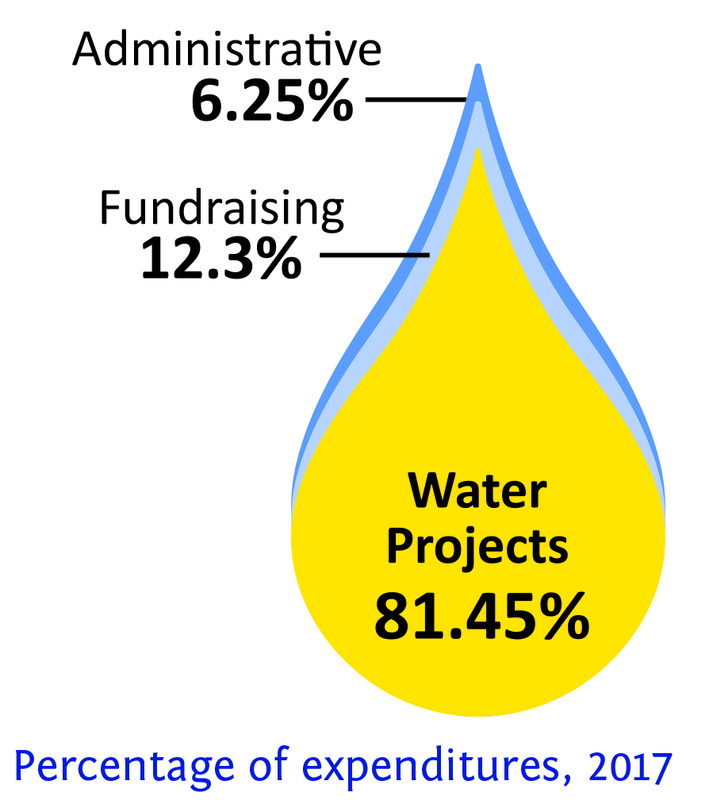 Ever since our founding in 2008, we have made our 100 Percent Promise, guaranteeing that every dollar donated for water projects will go to water projects and not for overhead or operations. This leaves us looking for other ways to raise money for operations. Unrestricted gifts go to help us fund our staff and infrastructure needs, as do proceeds from our signature event, Chef’s Table Austin. But as we have been blessed with water project donations that have allowed us to fund nearly 1,000 wells in our first decade, we have found a need to ask more clearly for additional help. We are proud of our 100 Percent Promise and of keeping our operations costs down. But we must be able to fund those costs to be able to continue to put water projects in place. The Drop by Drop Fund gives donors a clear category for giving, fundraising for operations that goes hand in hand with fundraising for wells, allowing us to sustain our mission and increase our impact as we move into our second decade.